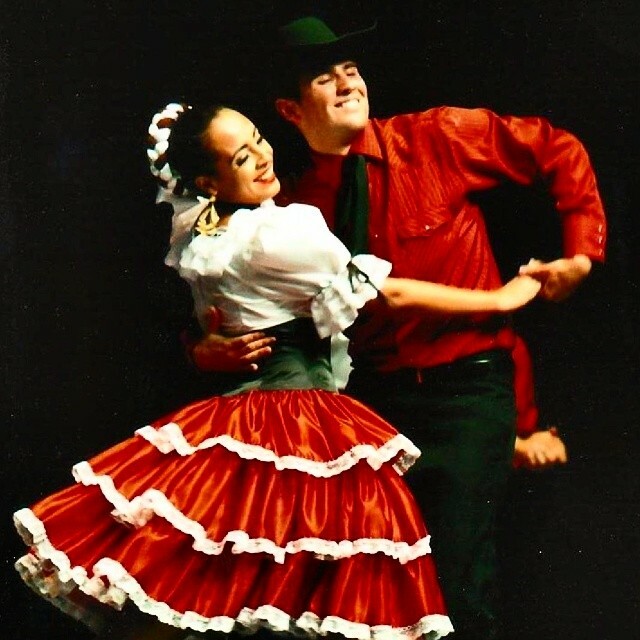 My name is Bruno Loya, and I am the director of Ballet Folklorico Los Tucsonenses from Tucson High Magnet School. I began my journey as a performing artist at four years old with Tucson's Official Folklorico company, Ballet Folklorico San Juan. Twenty years later, I now have the honor of serving as Assistant Director to Ballet Folklorico San Juan and Ballet Folklorico Arizona dance companies at Viva Dance Studio, now celebrating 31 years in our Old Pueblo. ​In addition to my training as a Mexican folk artist, I have also had experience in vocal performance, musicianship, and theatre acting. I've been blessed enough to perform and teach for a variety of events including Arizona's Centennial Celebrations, Las Vegas International Mariachi & Baile Folklorico Conference, specialty productions in Hollywood, CA, saloon shows at Old Tucson Movie Studios, the 2012 Olympic Festivities in London, and the 2017 International Folk Fest in Sardinia, Italy. After obtaining my Eagle Scout and graduating from University High School in 2011, I continued on to study Accounting at the University of Arizona's Eller College of Management and received Bachelors in Accounting in December 2014.